Applebee’s Grill and Bar brings to Barrie many of the favourite, well-known Canadian and American food delights. Located at the Bayfield Mall It’s open every day from 11 am to 10 pm, with weekends extended working time to 11 pm and offers a variety of appetisers, entrees, and desserts, as well as a full bar service. The menu consists of authentic entrees, mains, and desserts that are continually updated and upgraded to keep up with the latest trends and requirements in the food industry. Juicy steaks, filling burgers, crispy chicken and innovative quesadilla burgers are a real hit for diners that are ordered regularly and warmly recommended by reviewers on online websites. To keep things as interesting and as versatile as possible, Applebee’s puts out a drink of the month that is available to order only for 1 month. It’s usually a fruity drink you can easily pair with anything on their menu and has a symbolic price tag on it, so you can give it a shot next time you’re visiting. The interior and exterior are renewed regularly so that everything can look classic and modern, with updated seating, décor and elements. There is seating available to accommodate families and large groups as well as an outdoor patio where people can enjoy the sun. Bad experiences are hard to find on review websites since most people feel satisfied with how their food looked and tasted, as well as its price, but the few ones that have complained did it in regards to the inconsistency in food quality. With almost 40 years of experience and history behind its brand, Applebee’s Grill & Bar has become a staple restaurant not only in Barrie but in Canada in general. Since the first day it opened, Applebee’s brand has had a goal of offering the best food and drinks with an authentic, friendly service. A few years ago, Applebee’s underwent a revitalisation concept that included changes to the interior and exterior design, the services offered, as well as new food and drinks additions to the menu, a step that opened a new chapter in Applebee’s Grill & Bar’s book. 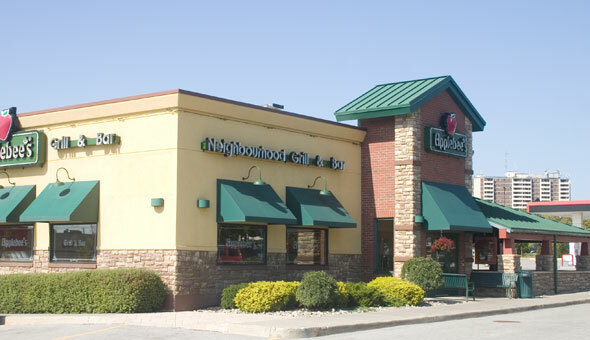 As a community-oriented business, Applebee’s Grill & Bar has partnered up with Flapjack Fundraisers to gather funds for many schools, children sports teams, community clubs and charities that are in need. Additionally, every Remembrance Day, all veterans and Canadian Forces are served a free entrée in Applebee’s Grill & bar as a way to show gratitude for everything they are doing for the country. With a mission of creating a lasting relationship and making a positive social impact on the community, Applebee’s Grill & Bar is a place you should definitely support and drop by at the next time you’re in Barrie.